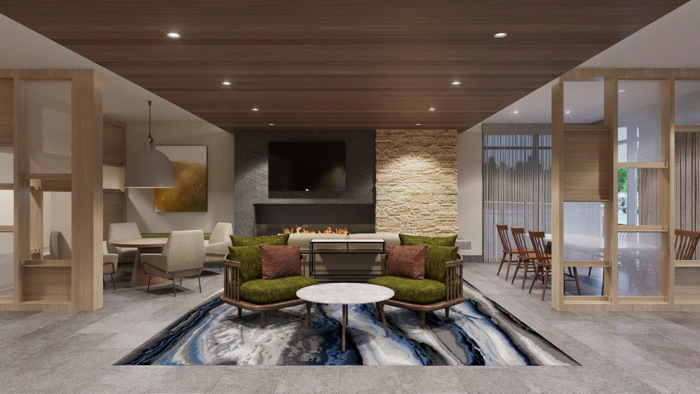 The 84-room Fairfield Inn & Suites by Marriott in Jasper, Indiana is scheduled to open this Friday, April 19, 2019. Located at 333 River Centre Landing, the Fairfield Inn & Suites Jasper will operate as a Marriott franchise, owned by River Centre Hotel Developers, LLC, partners Boxer Girl, LLC and General Hotels Corporation of Indianapolis, IN. General Hotels Corporation will manage the hotel. The property will host a ribbon-cutting ceremony for the business community on Thursday, May 9, 2019, followed by an open house and reception. "Delivering both function and comfort, our new design and décor elevate the Fairfield brand, setting a new standard in the moderate tier category," Janis Milham, senior vice president and global brand leader, Classic Select Brands. "At Fairfield Inn & Suites, we provide an easy, positive and productive travel experience, as well as the promise of consistent and reliable service at an exceptional value. The Fairfield Inn & Suites Jasper is a truly stunning example of the brand's contemporary look and feel, and we are pleased to introduce Fairfield Inn & Suites hotels in the Jasper area." The new décor package is warm, timeless, forward-thinking, and inviting with simple nods back to the brand's heritage. Specific elements meant to evoke feelings from the Fairfield Farm include a farmhouse table in the lobby for gathering and connecting, photography from the Fairfield Farm serving as artwork in the lobby and guest rooms, natural materials and unique textures featured throughout, and a history wall in every property showcasing the brand's roots.